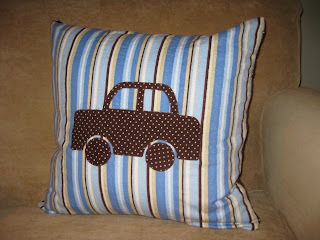 Another project inspired by Sew Mama Sew's fat quarter month. 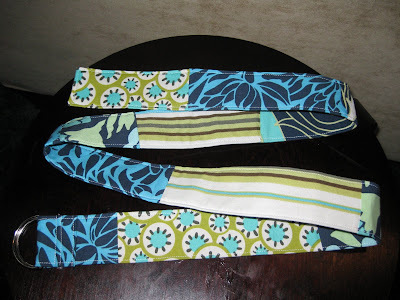 I made up my own method for this cute pieced belt. 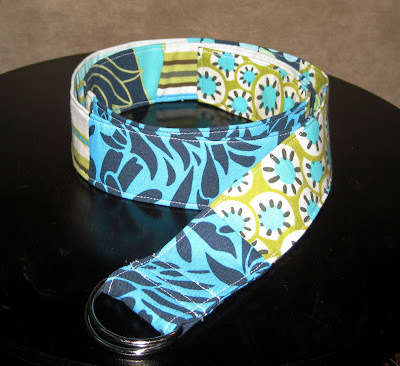 I fused a layer of flannel and interfacing in the center to give the belt the neccessary heft. It ended up a little long, but I've already worn it once. I made it with Amy Butler fabric scraps from the previous project. Fun!! You can buy a similar one for the little girl in your life too. Just check out my etsy shop (link on the right). 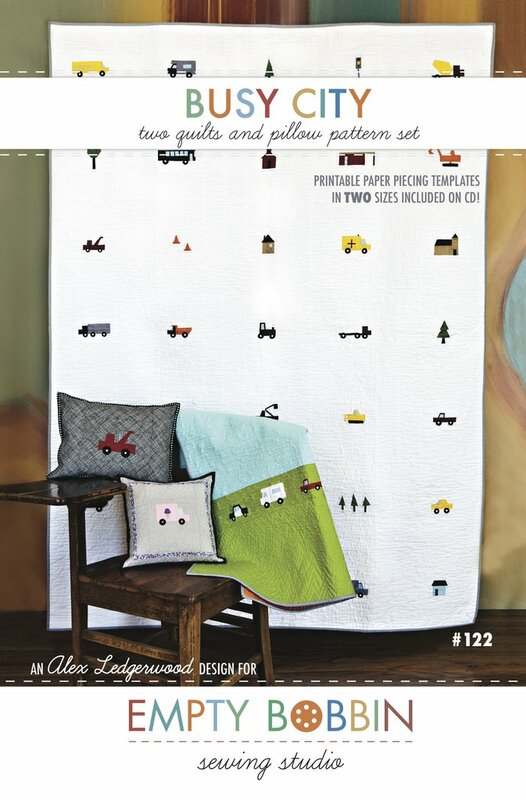 It's fat quarter month over at Sew Mama Sew. 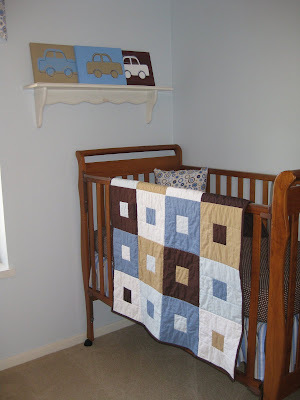 There are some great project ideas for using these small pieces of fabric. 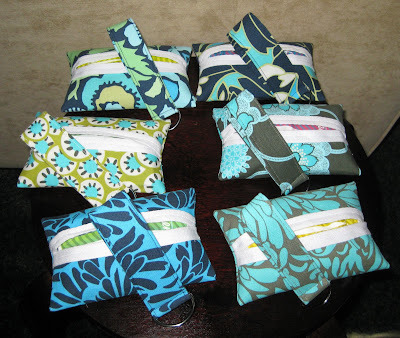 I loved the idea of these cute tissue holders. With a little trial and error, I think I figured out how to make them. The fusing of the fabric layers really makes for a nice stiff holder. 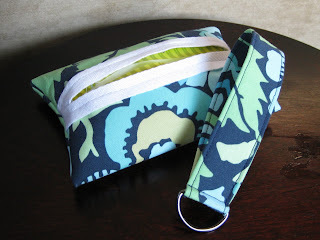 I also made matching keychain wristlets from this tutorial. I made a whole bunch to give a gifts for all those ladies who will be helping me in the near future with the new baby coming home. 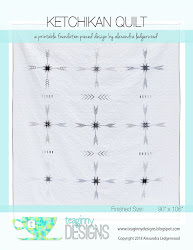 I love the Amy Butler fabrics! My favorite sister-in-law gave me a set of fat quarters for my birthday. Thanks! It was so fun to use them on this neat project. 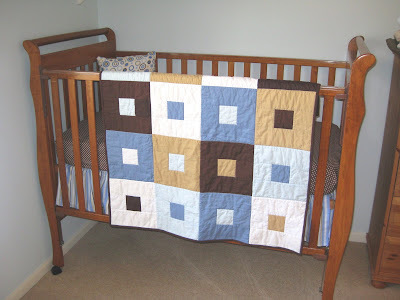 My little guy's quilt is done! Thanks for the comment that identified this pattern as Cobblestones. It is my first time machine quilting, and I just went for stitching in the ditch. I like how quickly it went! 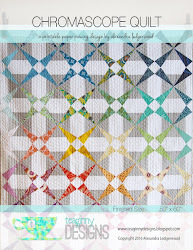 Next time I hope to try some free motion quilting.